The fate of Robin Hood Gardens was sealed a long time ago. Ever since plans were formally submitted for its demolition in 2010, the long drawn-out process of “decanting” the residents began. The demise of this iconic brutalist estate has been an equally iconic example of the long grind of gentrification that has come to characterise the chronic housing crisis in London. The slow violence of neoliberal-charged social cleansing of this global city contains all the now typical tropes of misinformation from local councils and housing associations, methodological chicanery around resident surveys, and the managed decline of social housing in order to turn it over to private capital (exemplified in detail in Anna Minton’s recent book, Big Capital: Who Is London For?). 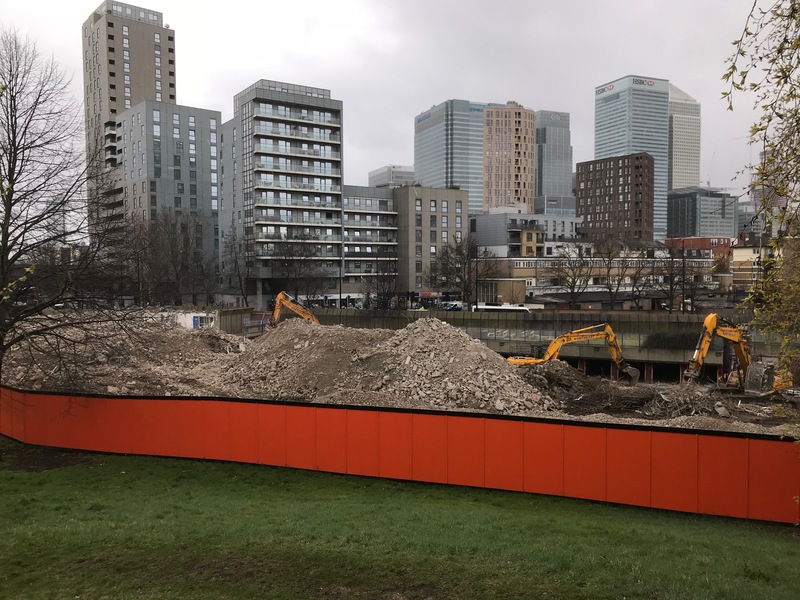 But a curious amendment to this violent gentrifying process became visible back in November 2017, when the V&A Museum announced to great fanfare that it had acquired a three-story “slice” of Robin Hood Gardens. It is now confirmed that this large section of people’s old homes will now be exhibited at the Venice Biennale this year, under the title “A Ruin in Reverse”. The outcry of this crass move was swift and loud. 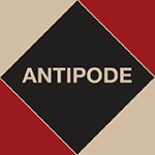 It is a classic, and rather blatant, example of artwashing – the act of using artistic and state-led cultural practices to soften the harsh realities of accumulation by dispossession. People are still living in the block opposite, and yet the V&A have seen fit to champion Robin Hood Gardens as a ruin, fit only for a museum exhibition; the remnants of an archaic housing dream that has long-since been abandoned by a state more concerned with inflating bank balances than the importance of the social realm. Robin Hood’s brutalist design is all about that social realm. As I wrote in an Antipode paper last year, brutalism has a relational monumentality. It contains within it principles of housing, but also social relationships, and notions of public life that are radically democratic, civic and equitable. As I outlined in that paper, Robin Hood Gardens exemplified the utopianism of social housing ethics as espoused by its architects Peter and Alison Smithson; yet its decline similarly exemplifies how neoliberalism within urban governance has hollowed-out these design ethics, and replaced them with pure aesthetics that can be bought and sold. And the exhibiting of Robin Hood Gardens at the Venice Biennale is yet another violent contortion of brutalist ethics into pure marketable aesthetics. It declares the form dead, only fit for a museum. A response to this requires a reaffirmation of those brutalist ethics; a rekindling of its relational monumentality and unapologetically social focus in a world dominated by a rampant lust for private individualism. Hence my paper, “Brutalism Redux: Relational Monumentality and the Urban Politics of Brutalist Architecture”, will be freely available during the course of the Biennale. It’s a small step, but one that is necessary to counter the slow violence that artwashing and gentrification is enacting in London, and other cities all over the world. 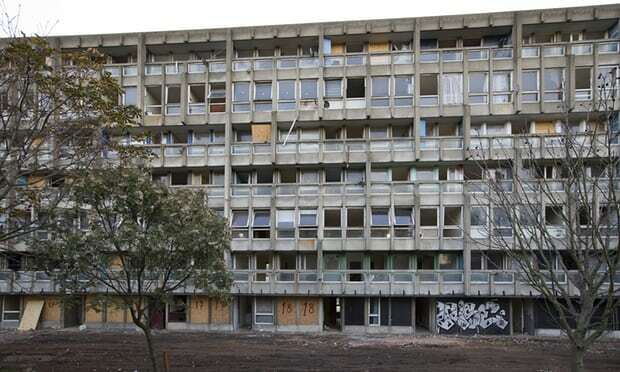 This entry was posted on 24 May 2018 by Antipode Editorial Office in Interventions and tagged A Ruin in Reverse, architecture, artwashing, Brutalism, brutalist architecture, brutalist ethics, gentrification, global cities, housing crisis, La Biennale di Venezia, London, museums, Peter and Alison Smithson, privatisation, public housing, relational monumentality, Robin Hood Gardens, ruins, slow violence, social cleansing, V&A Museum, Venice Biennale, Victoria and Albert Museum.